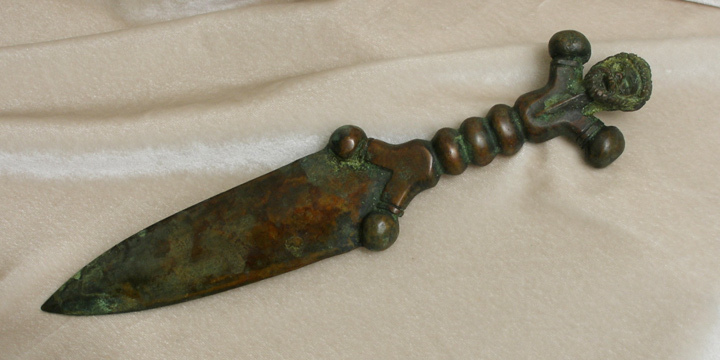 Made of solid bronze this celtic design dates back to 1200 BC. The representation of the male figure was very popular with early celtic swords and knives. 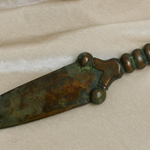 Dagger can be polished or a patina can be created for an ancient look. Each knife is hand-made to your specifications, with many options available.